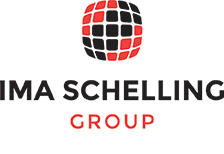 (Raleigh, NC) IMA Schelling Group USA, located in Raleigh, NC, is the combined North American headquarters of both IMA Klessmann GmbH (Germany) and Schelling Anlagenbau GmbH (Austria). IMA and Schelling each provide complementary sophisticated technologies for the wood, metal and composites sectors that will continue to carry them into the future. The IMA Novimat Compact R3 is engineered to handle all aspects of edge processing with the option to use traditional EVA glue, PUR glue or the new IMA state-of-the-art laser edgebanding (IMALUX). New laser technology is redefining traditional standards of quality edgebanding. ZERO glue lines create more visually attractive products. With no discernible joint between the edgebanding and material surface, signs of aging and wear are a thing of the past. Absence of a joint allows a tight seal preventing dirt accumulation between surfaces. Modern Wood Design in Pacoima, CA will be installing the IMA Novimat Compact R3, which will be the first laser edgebanding machine in southern California. The southern Californian cabinet door manufacturer already specializes in Thermofoil, Veneer and MDF paint grade doors. The addition of the IMALUX will add to their impressive capabilities. The Compact R3 comes loaded with standard features for high quality edgebanding, including multi-radius milling and multi-radius scraping units for four different radiuses, on demand. The KFA unit with a free moving head, provides consistent corner rounding quality. The machine also features a joint milling unit, infrared heating system, end trimming unit, buffing unit, an automatic lubrication unit and more. The Compact R3 is equipped with the IMA ICOS Controller with nearly unlimited programming options including the Service Portal for instant, remote service. The IMA Schelling Group will proudly showcase the IMA Novimat Compact R3 with IMALUX at AWFS in Booth #8411. The machine will be installed at Modern Wood Design’s facilities shortly after the show.